Radical & Relevant books out into the world! 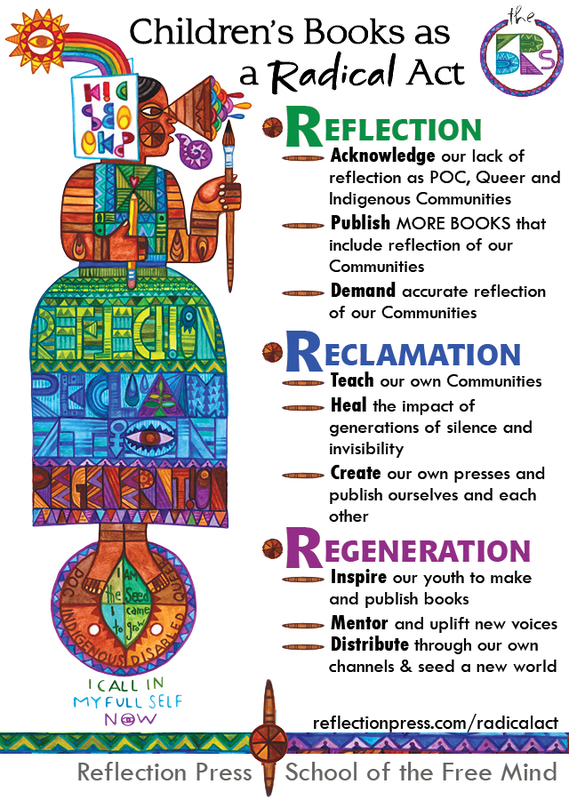 The 3R's of Children's Books as a Radical Act take the power away from silence and invisibility and focus on bringing VOICE and VISIBILITY to our communities and kids. 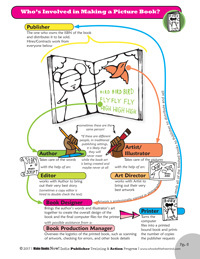 This fun flow chart talks about the different people involved in making a children's book and can be helpful to get an overview of the different roles whether you're going with a traditional publisher or considering self-publishing. 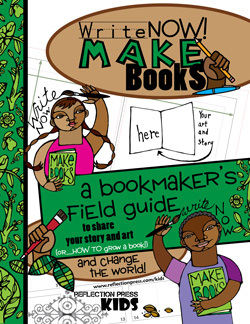 This is from the Make Books Now! Indie Publisher Training & Action Program through our School. 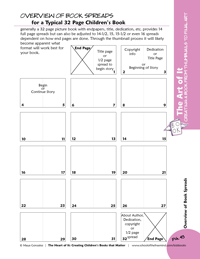 This worksheet is also from the Make Books Now! Indie Publisher Training & Action Program through our School and is a helpful tool to think about what assistance you might need when self-publishing. Also talks briefly about the different roles in traditional children's books publishing. 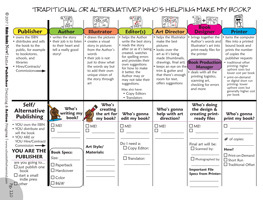 This PDF is from The Art of It e-book that accompanies The Heart of It: Creating Children's Books that Matter e-course through our School. Discusses the "industry standard" 32 page picture book and why that is as well as optional layouts within that standard and what endpapers are. Next Steps: How will I make it real? A free video series and downloadable 30 page packet that, while geared toward kids, is still a valuable resource for understanding how the story and art for a picture book is created.